Courtesy of CENTURY 21 Scheetz. 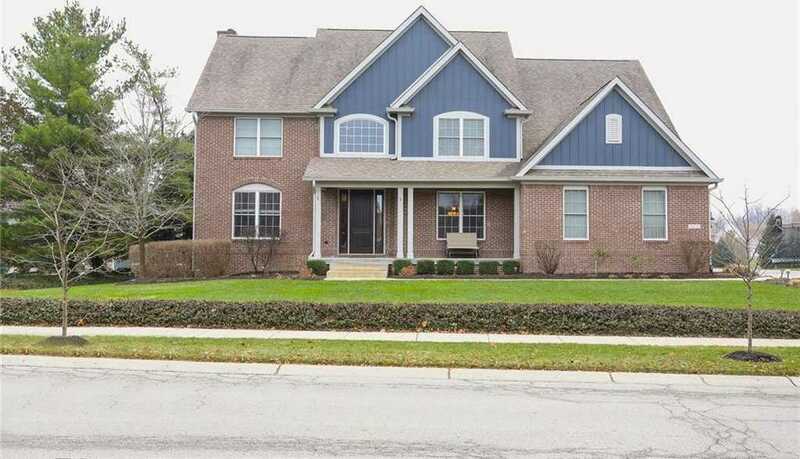 Meticulously maintained custom home w/ 4.5 car garage located in popular Reserve of Saxony. Elegant entry leads to custom features throughout. 8′ doors, trey ceilings, extensive woodwork, hardwoods, slate, granite, maple glazed cabinets and home audio. Private den w/ French doors. Spectacular master suite w/barrel vault ceiling, spa-like bath and dual walk-in closets. Beautiful guest bdrm w/ private bath. 2 spacious J&J bdrms. Exquisitely finished basement w/ theater room, wet bar, storage and space that affords flexibility for craft room, workout room or study. Enjoy outdoor living w/ the Azek deck/pergola that overlooks patio w/ a fire pit and large kid approved backyard. Excellent schools & location! Too many updates to list. Please, send me more information on this property: MLS# 21609570 – $585,000 – 13675 Alston Drive, Fishers, IN 46037. I would like to schedule a private showing for this property: MLS# 21609570 – $585,000 – 13675 Alston Drive, Fishers, IN 46037.